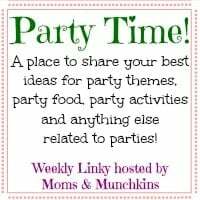 Welcome to the third week of the Party Time linky! Did you see all of the amazing party ideas shared on last week’s party? There were some parties perfect for ending the summer season, so many adorable DIY decorating ideas and more! This colorful Hello Kitty on Mimi’s Dollhouse is so sweet! I love the way she put kitty cutouts on the plates. So clever! 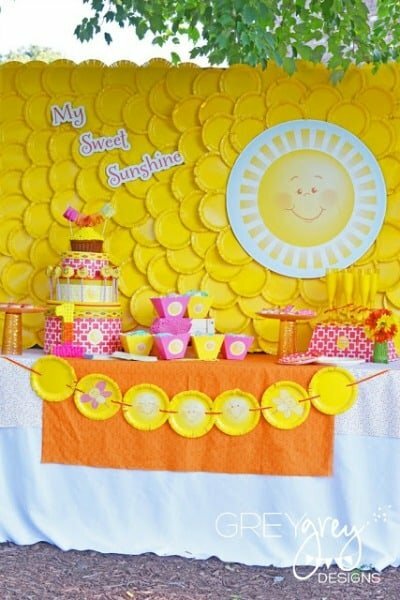 There are so many adorable details in this My Sweet Sunshine party by GreyGrey Designs. I love the paper plate background! Can you believe that these crayons are actually chocolate covered pretzels? 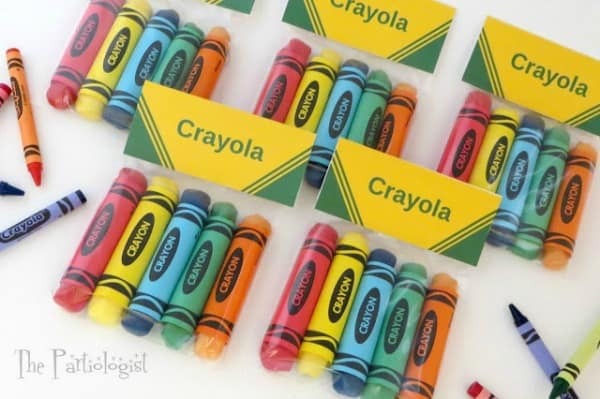 Check out all of the colorful details in this Crazy for Crayons party on The Partiologist. 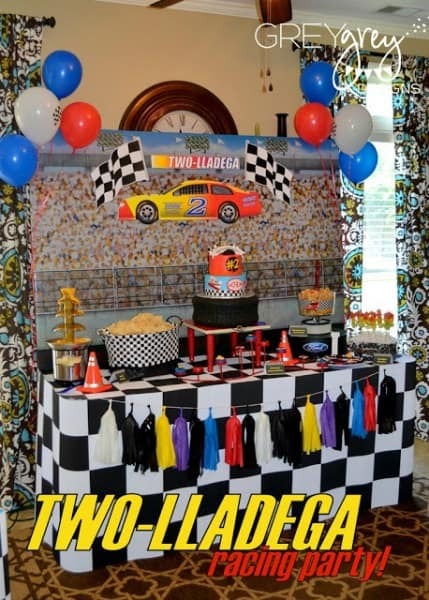 I am trying so hard not to start planning my son’s third birthday party too early but this TWO-lladega Racing Party by GreyGrey Designs is so inspiring! I’ll admit it…I have started jotting down notes for a birthday party that is still 8 months away. 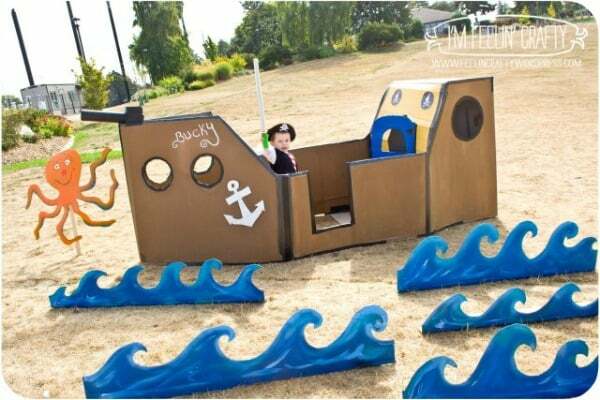 If you love the homemade ship in this Pirate Party by I’m Feelin’ Crafty, just wait until you see the rest of the party! 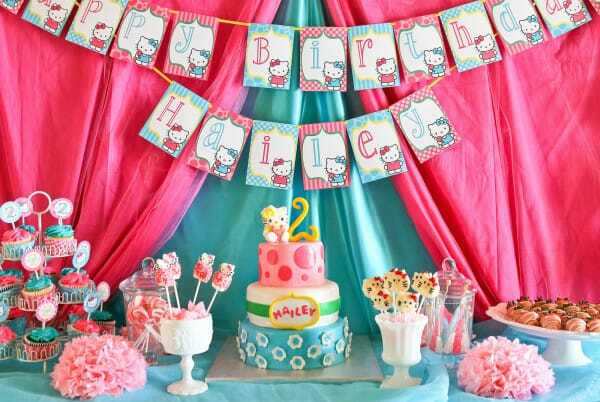 Now it’s time to share your best party ideas. I can’t wait to see what you have to share this week! Thanks for the party. Have a great weekend!